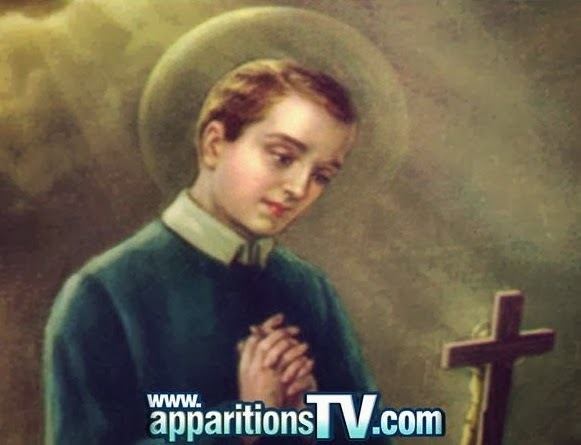 (Saint Gerard Majella): “My beloved brethren, I, Gerard, I rejoice to be able to be with you again today and I say unto ye: Pray, pray, pray. For only Pray will lead ye by the path of peace, of truth, of good and will give ye the inner strength to fulfill the will of God concerning you. Nothing is more important than loving God and doing His Will, this My Holy Master Saint Alphonsus taught Me, but the soul can only know God's will to fulfill It if it is a soul of deep prayer, and prayer done with the heart, so that the soul finds God and knows His Holy Will. Only the souls of deep sincere prayer with the heart perceive, feel, know the Will of God. Therefore, pray, pray, pray, until the Will of God is clear for ye and pray, pray, pray, in order that ye may have inner strength to fulfill His Holy Will. Because you are so attached to the vain things of the earth, because you are so attached to your sins to which you do not want to renounce, is the reason you are not able to pray with the heart and you are not able to pray with the heart because you are in darkness and because you are not able to pray with the heart, you do not know the Will of God about you. Therefore, My beloved brethren, detach yeselves from vain things, detach yeselves from the sins that ye will not renounce, in order that your heart truly prays and thus you can know the Will of God for ye. Come to Me, every day in prayer and I will increasingly help ye have the inner strength to renounce everything that blocks your heart, for the Love of God, for the knowledge of God and the fulfillment of His Word.